Motorhead ended their concert in Salt Lake City, Utah, after four songs last night (August 27) as frontman Lemmy told the crowd he was finding it difficult to breathe. It follows reports from Los Angeles on August 22, where some fans said the 69-year-old appeared unsteady on his feet. The rock icon has been in frail health since undergoing heart bypass surgery and later suffering a haematoma in 2013. 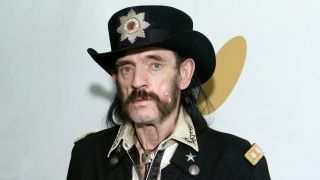 Motorhead moved to reassure supporters that the problem was caused by the city’s altitude. They said: “The people are great, but the air is just too thin. The high altitude makes it difficult for breathing, and that’s what happened with Lemmy tonight in Salt Lake City. But the explanation raises the prospect of further cancellations. Salt Lake City is 4200ft above sea level, while Denver, Colorado, where the band are due to play tonight, is 5300ft above sea level. Motorhead’s 22nd album Bad Magic is released today. They’re scheduled to end a UK tour with a special 40th anniversary concert at London’s Eventim Apollo on January 29.